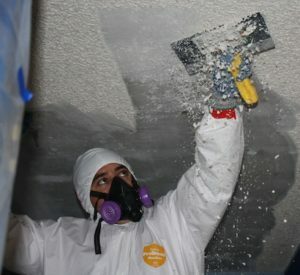 From the 1950s until the early 1980s, asbestos was the material of choice because of its rot-resistant and fire-resistant properties, durability, affordability and ease of use. It was used on everything from roofs, sidings, shingles, linoleum and floor tiles to piping, furnace ducts and ceilings of houses. It wasn’t until the early ‘70s that the federal government placed a moratorium on asbestos. 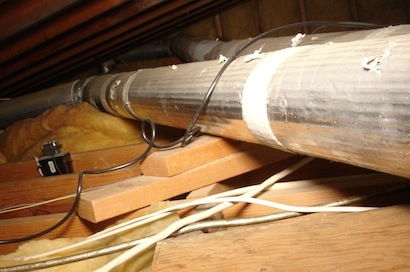 Undisturbed, asbestos does not pose a threat. It is when the fibers become airborne, be it from a remodel, fire, natural disaster or some other event, that the cancer causing asbestos fibers can be inhaled into the lungs. If you think your home or building contains asbestos, it is important to seek professional assistance. Portney Environmental & Demolition, Inc is a licensed asbestos removal company with extensive experience in properly containing the asbestos, complete decontamination of the site, and lawful disposal of the contaminated materials. Portney Environmental & Demolition, Inc has many years experience in abatement and management of hazardous materials.